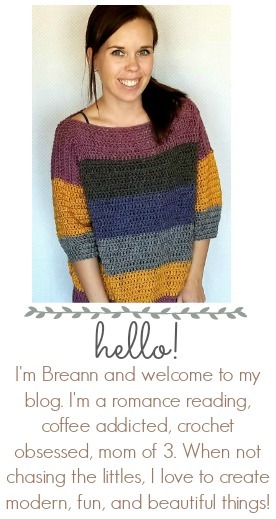 I am obsessed with Scarfie yarn! 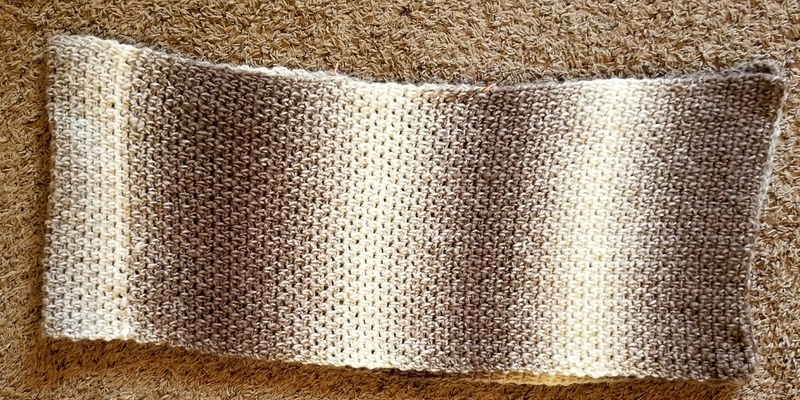 The ombre effect is spot on and I’m especially loving these neutrals! 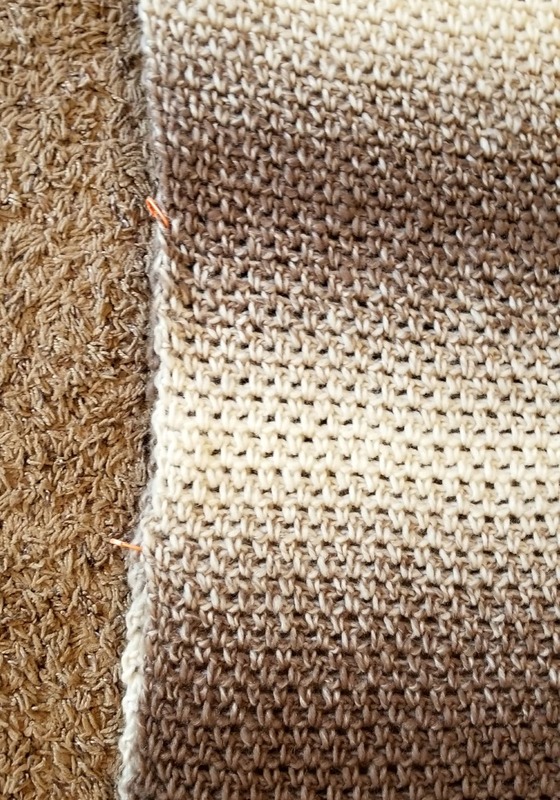 It’s the perfect yarn for the Desert Landscape Wrap Crochet Pattern. 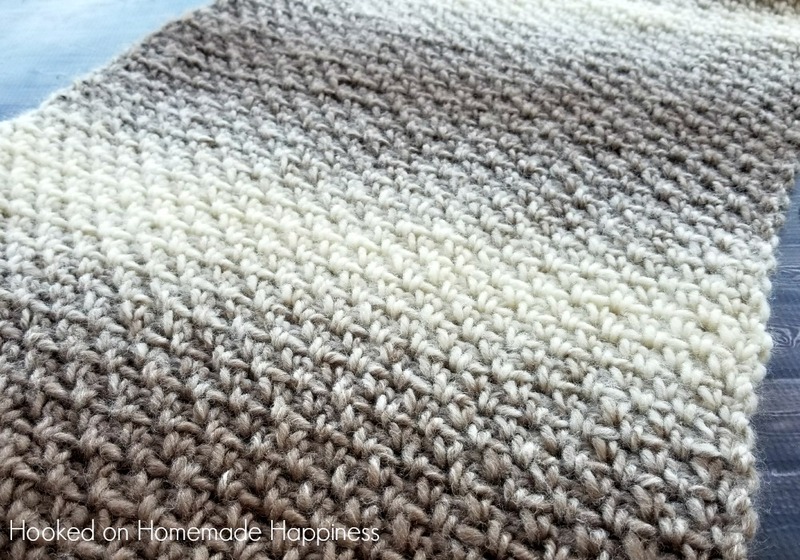 I’m pretty sure Scarfie and the Moss stitch were MADE FOR EACH OTHER. This combo gives me all the heart eyes. 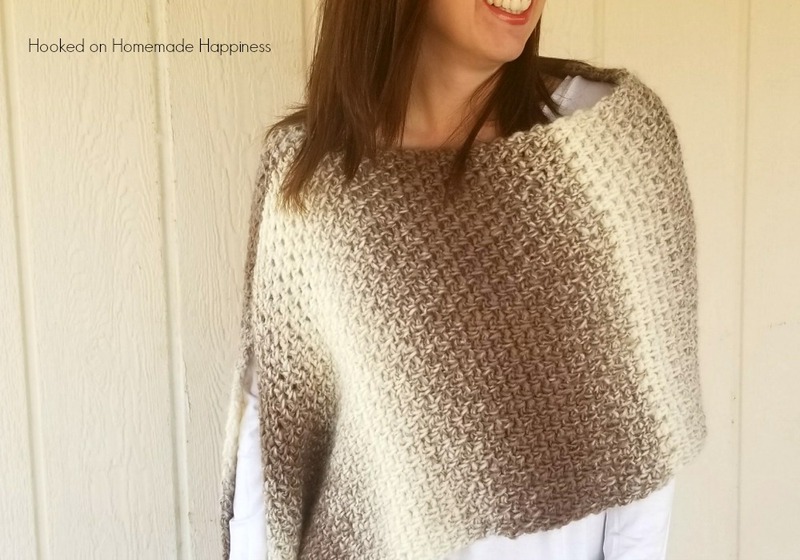 This wrap is one big rectangle, folded in half, and then sewn a little bit across the shoulder. 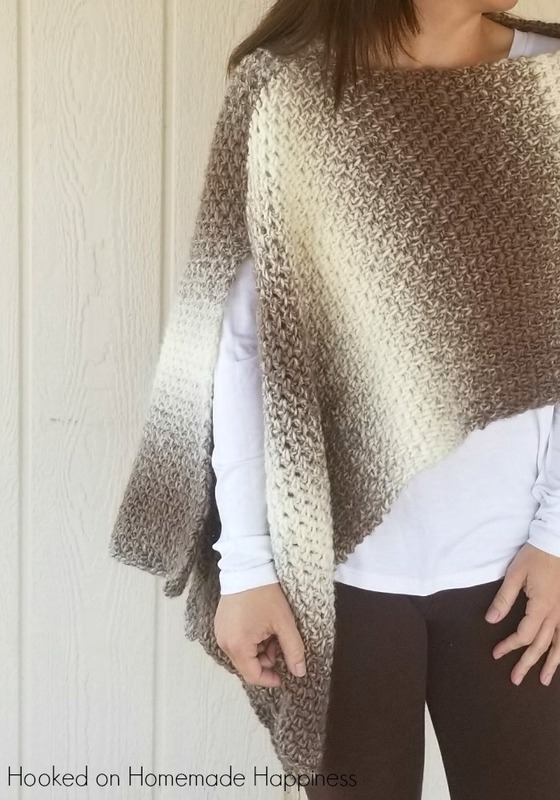 I love the beautiful drape of this wrap! It’s a great accessory for just a little warmth. 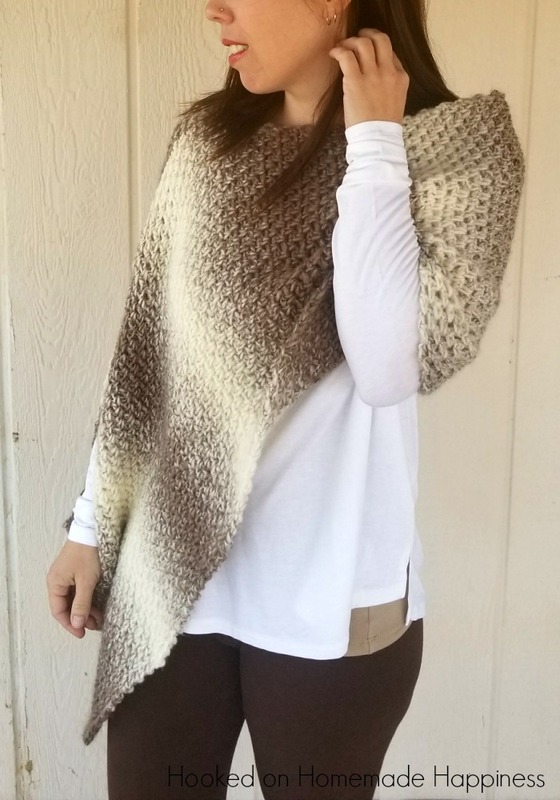 This wrap is written in 2 sizes, S/M and L/XL. But it can easily be adjusted for a different size. Pictured is the S/M and I’m 5’0″ for reference. Sew about an 8 inch seam 12 inches from the fold. Fasten off, weave in the ends.